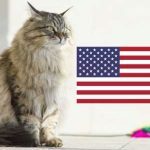 Are you looking for a Siberian cat breeder in Canada? I hope this post will be helpful for you. 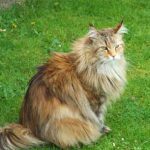 I looked through a lot of Siberian cat breeders in various parts of Canada and created a list of breeders that I can recommend for you. 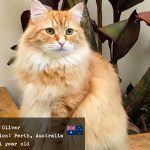 I looked at such factors as quality of their breeding lines (how good the cat parents’ pedigree is), their titles and awards, their health guarantees and the conditions in which the cats are raised (as much as I could see from their website. 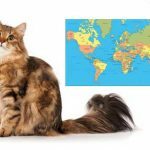 I couldn’t visit each of these catteries of course 🙂 I hope this list will help you orient in the world of Siberian cat breeders in Canada and help find the best one for you. Iceforest Siberian Cattery are Breeders of Traditional Siberian Forest Cats located in Barrie, Ontario. 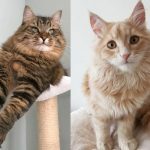 As they state on their site, they are the only breeder in Southern Ontario that breed purebred Siberians without breeding in Himalayan or Neva Masquerade cats in their lines. All their lines started with the three cats imported directly from Russia. This breeder strives to maintain the original purebred Siberian both in looks and in temperament. Their cats and kittens live with them as part of their family and are treated as such. They also pay a lot of attention to the cats’ health – both genetic health during breeding and the health care of adult cats and kittens. Their Siberians are truly beautiful which you can see in their photo galleries. They also have lots of great testimonials. If you are in or near Barrie, Ontario – check this breeder out. Sacred Heart Siberians are a small home based cattery located in the village of Brighton, Ontario. This cattery imports Siberians with excellent pedigrees from world-known Russian catteries for their breeding lines. They care a lot about preserving well-bred, original Siberian lines and offering genetically healthy and well-temperamented kittens to their clients. Did I mention they have a gorgeous site? Despite that, they are a fairly small cattery with just a few litters per year. They care about the quality of their breeding and kittens more than quantity of cats. They also very obviously care about you the potential customer and new owner of their kittens. 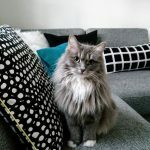 This breeder is very careful to warn potential allergy sufferers, that although Siberian cats are often very well tolerated by people with allergies, they are still not truly hypoallergenic and may still present some issues for some people. They also provide some sound advice in preventing or reducing allergy symptoms in sufferers. All in all, Sacred Heart Siberians seem like a very good, respectable breeder. Check them out if you are in or near Brighton, Ontario. Siberian Dream is located in Parkland County – 8 km west of Edmonton (Alberta, Canada). They seem like quite a large cattery with a good number of adult cats and kittens. They have a 6-months waiting list for their kittens. The average price of a Siberian kitten at this cattery is $1290. They also require a $200 non-refundable deposit. 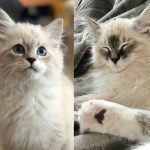 This breeder prefers to find local homes for their kittens, but they are also open to shipping within Canada if absolutely necessary. If you are around Parkland County, check this breeder out. They don’t have a lot of information about the quality of their lines but you can request about that. 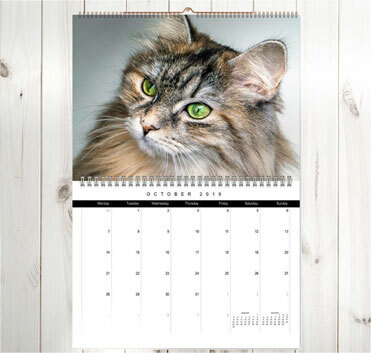 They do have lots of images of their beautiful Siberians and some good testimonials as well. Bolshoy Dom Cattery (means “Big house” in Russian) are located in Beautiful British Columbia! (Namely in Chilliwack, BC). The cattery owner, Galina, grew up in Moscow, Russia, and Siberians are very close to her heart! She has loved and admired Siberians since she was a little kid, but only opened her own cattery when she was away from Russia – in Canada. Galina is currently retired and an empty nester, and is very happy doing what she loves most – breeding her beautiful Siberians (and also Golden Retrievers!) and watching them grow up right in front of her eyes, in her family home. Galina treats her animals as part of her family and finds great pleasure in being surrounded by little Siberian babies. She raises Siberians that are great representatives of the breed – with lots of national and international champions in her lines. She puts a lot of effort into selecting her breeding animals very well with the purpose of maintaining healthy and affectionate cats. Galina’s goal is to breed and raise well-socialised, healthy kittens that will enrich the lives of their future owners. 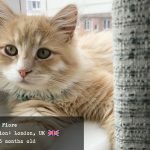 She also cares a lot about finding very good “forever” homes for her kittens and has an extensive application form on her site with lots of questions for potential new owners, to see if they will be a good home. If you are in Chilliwack or somewhere close in BC, Canada – do check Galina’s site out as she seems like a very good breeder. Snowy Kitten Siberians is another Siberian cat cattery located in BC – they are Maple Ridge, British Columbia. Snowy Kitten is a smaller cattery – as stated by their owners, they want to stay small and only have a couple of litters at a time so they can care for each kitten individually as best as possible. They have a pretty minimalist website as well. 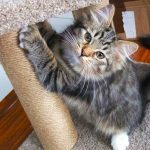 The goal of this cattery is to raise happy, healthy and well-adjusted Siberians and find them loving forever homes. They do have a waitlist and encourage their potential customers to get on it. The nice thing about this breeder is that they accept a very small (and refundable!) deposit of only $75 when you are placed on their list. This is the smallest deposit I have ever seen anyone take and the only breeder that does refundable deposits. They also provide a contract when you purchase their kitten, which is very important. 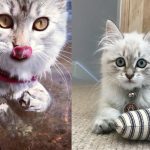 They have some gorgeous pictures of their cats and kittens on their site as well, which you should definitely check out if you are looking for a Siberian kitten in BC. I wasn’t able to find information on where exactly this cattery is located but it’s definitely in Canada. They don’t seem to have that much information about themselves, but what I could find is that they import their breeding cats from Russia and provide healthy, genetically sound kittens for the new owners. They even provide a 2 year genetic health guarantee. They also allow new owners to return a new kitten for any reason within the first two weeks of ownership. They also offer lifetime advice, guidance and support to the new owners of their kitties, which is a great sign of a good, caring breeder. Mindeelyn Siberians also offers shipping throughout Canada and into some US cities as well. They do also provide a contract when you purchase their kitten. All in all they seem like a fine Siberian cat breeder, but again, I am not sure where exactly they are located. This cattery is located one hour south west of Edmonton, the capital of Alberta. 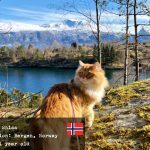 This is a family-owned cattery run by a very passionate breeder who finds inspiration and satisfaction in breeding beautiful and healthy Siberian cats. Check them out if you are in Edmonton. 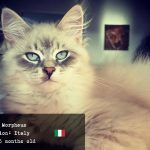 Siberian Glory is a cattery specialising in Siberian Neva Masquerade cats. 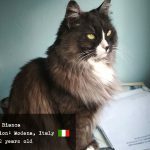 Again, I am not sure where exactly in Canada they are located, but they do breed some excellent cats with fine titles and awards. You can see their awards and certificates on their website, as well as images of their beautiful Neva Masquerade cats. Definitely get in contact with them if that’s the type of cat that you are looking for.